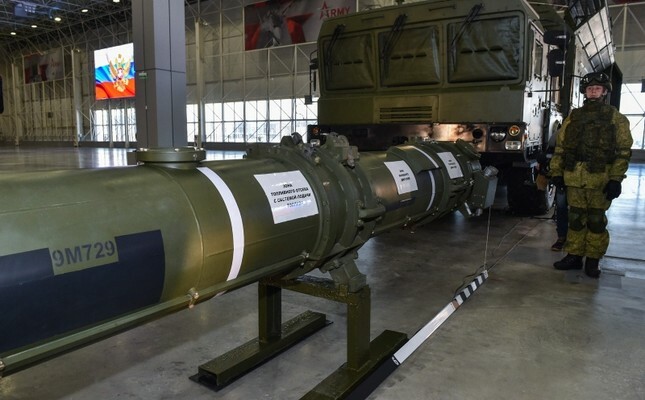 Russia's military has denied that its Iskander-M 9M729 missile violates a bilateral nuclear forces treaty with the United States. The missile is fuelled only under factory conditions to provide a maximum flight distance within the allowed range, the head of Russia's missile forces, Lieutenant-General Mikhail Matveyevsky, said at a presentation of the missile in the Moscow region. The US has threatened to walk away from the Intermediate-Range Nuclear Forces (INF) Treaty amid claims that Russian arsenal is in violation of the agreement. "Russia has observed and continues strictly observing the points of the treaty and does not allow any violations," Matveyevsky said in comments carried by state news agency TASS. The missile uses the same amount of fuel as its predecessor, the 9M728, which did not incite such allegations from the US, the report said.